As game day approaches, everyone is working on their full-court strategy. 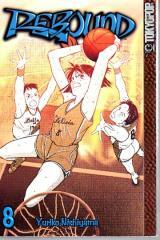 Kuwata and Kobayashi devise a game plan, Nate tries to perfect his stroke from beyond the arc, while Amami and Yuza argue about the best way to take down Johnan. When the tournament arrives, everyone puts on their game faces and takes to the court with one goal in mind…winning.